Some great additional links have been in the comments section, so be sure to check them out, too! This is just a start for a “The Best…” list with advice for new teachers. I’m hoping readers will contribute a lot more resources. Ten Alternative Tips for New Teachers is from Nancy Flanagan at Education Week. 12 Tips for New Teachers is from Larry Miller at Rethinking Schools. Twenty Tidbits for New Teachers is by Lisa Dabbs at Edutopia. 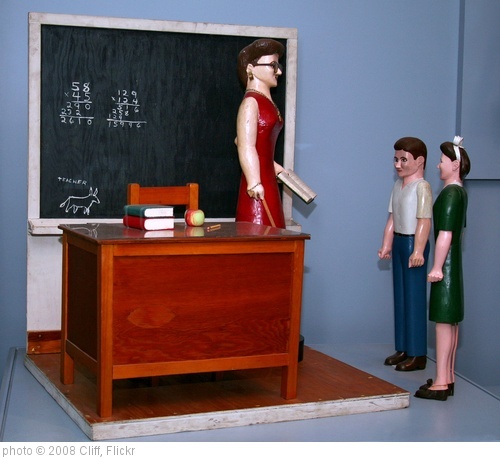 Politics Aside–For New Teachers, It’s Still November is by Roxanna Elden. It provides advice on how experienced teachers and administrators can best support new teachers. New Teacher 911 comes from Middleweb. Five Tips for New Teachers to Become Connected Educators is from Edutopia. The First-Year Teaching Roller Coaster is by David Ginsburg. New Teacher Survival Guide is a series of videos from The Teaching Channel. 10 commandments for new teachers is from The Guardian. 33 Signs You’re A New Teacher is a pretty funny, sometimes cynical, and often wise list from BuzzFeed. Your first year teaching, in one chart is from The Washington Post. A Survival Guide for New Teachers is from Ed Week. The Ultimate Guide to Starting a Teaching Job in the Middle of the School Year is by Jennifer Gonzalez. 15 Mistakes New Teachers Make (and what I learned making them) is by AJ Juliani. 9 Mistakes New Teachers Make is from Ed Week. What Teachers Wish They ‘had Been Told’ is the last post in my three-part Education Week Teacher series. NextWhat Are The Roles Of Parents, Teachers & Adminstrators In Parent Engagement Versus Parent Involvement? New Teacher 911 – This is our “base article.” Created by my MW partner Susan B. Curtis, it’s essentially a resources essay for new teachers and also teachers new to the middle. We’ll be adding things here all year. MW New-Teacher Webinar – We captured this recent 90-min session with Elizabeth Stein, Heather Wolpert-Gawron & Rick Wormeli as an Elluminate archive. Fun to watch/hear/read. This page has the link and lots of related resources, including a ts. of the chat stream, which was going about 90 mph! The Goddess of Good Advice – This is my interview with Cossondra George, a Michigan math/sped teacher who’s written many great articles about “taming the dragon of classroom chaos.” The title says it! Middle Grades Teaching Essentials – Our friend @nancyflanagan wrote this one just for MiddleWeb, expressly for new teachers. It’s terrific, of course. Rick and the Fundamentals – You don’t want to start a middle grades teaching career without reading some Rick Wormeli, who has *2* books for new MS teachers out there. This is a two-part article which complements Nancy’s perfectly. Advice for New Special Ed Teachers – We picked this one up from Ed Week Teacher, with permission of author Elizabeth Stein, who participated in our webinar earlier this week (see above). She’s tailored her advice to the special needs of novice SpEd educators. Students Can Do Hard Things – Another classic borrowed with author’s permission from Ed Week Teacher. Middle grades instructional coach (and awesome Ed Wk blogger) Anthony Cody takes a break from ed policy to share a well-crafted, simple, yet profound message. Learn Like Luke Skywalker – My colleague Sheryl Nussbaum-Beach tells a story about her grandson (who actually IS named Luke Skywalker) to make an incredibly important point about passion-based learning. Novices may want to cling to it like a flotation device during the rough seas of their first year. The Homeroom Is a Home – Finally… this selection from an as-yet unpublished manuscript by The Jose Vilson tells some of the story of his first year as a 7th grade math teacher, teaching in a school not far from his very own tough NYC neighborhood. Both gritty and inspiring! These of some of the highlights in our “new-teacher collection” so far – but we’ve only been re-launched for six weeks. There will be plenty more. Hope newbies and the folks who support them will check us out. The very same Jose Vilson mentioned above found the cool template we customized for our new http://www.middleweb.com site – it’s fun to look at. I have a new book just out geared to help new teachers. It’s the third edition of The First-Year Teacher’s Survival Guide. Right now Amazon has a 20% coupon offer going on it! It’s easy to find it on the Amazon site! Looking forward to getting your contribution to my Ed Week blog!